Special counsel Robert Mueller’s report is in; what happens now? Mueller’s report is in; what happens now? Special counsel Robert Mueller submitted his report to Attorney General William Barr late Friday, as the Washington Post and New York Times reported. No information about its contents was released at that time. But the report has been hotly anticipated in many circles, with Democrats in the U.S. House of Representatives promising subpoenas and legal action to make the report public. Legally speaking, whether it becomes public is largely up to Barr—but if there’s a conflict between the executive and legislative branches, recent history suggests that legislators might have the upper hand. The special counsel regulations govern what Mueller’s team must provide to Barr: 28 CFR 600.8 says the special counsel must provide “a confidential report” explaining why he decided to prosecute or decline to prosecute the people he investigated. Barr noted the clause about confidentiality in his confirmation hearings, where Bloomberg says he suggested that this would prevent him from releasing the report itself. The regulation says nothing further about the extent of that confidentiality. Joe Whitley, who was acting associate attorney general during the Ronald Reagan and George H.W. Bush administrations, thinks the regulations were drafted to make the job of a special counsel submitting a report to the attorney general similar to that of a line prosecutor submitting a report to a U.S. attorney. By that analogy, it would be up to the attorney general, as lead prosecutor, to decide what can be released publicly. Whitley knew Barr at the Justice Department, and he thinks the attorney general is likely to consult people within the department about what can and should be shared. He does not believe Barr’s decision will be partisan. Barr delivered a letter to Congress on Friday notifying the leaders of the Judiciary committees that Mueller had submitted his report on the Russia investigation. “Separately, I intend to consult with Deputy Attorney General Rosenstein and special counsel Mueller to determine what other information from the report can be released to Congress and the public consistent with the law, including the special counsel regulations, and the department’s long-standing practices and policies. I remain committed to as much transparency as possible, and I will keep you informed as to the status of my review,” Barr wrote. If Barr does, however, his comments at the confirmation hearings suggest that there will be limits on what is publicly disclosed. 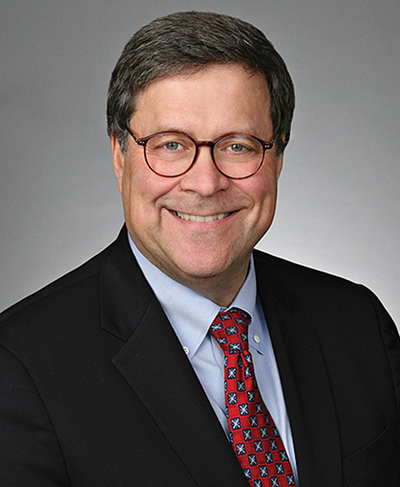 Barr told the Senate Judiciary Committee that any disclosures he made would be subject to DOJ policy that forbids disclosing negative information about someone the DOJ has decided not to indict. There are good reasons for that, says ABA member Lionel André, a partner at Murphy & McGonigle in Washington, D.C., and New York City and a former assistant U.S. attorney. André and his law partner Michelle Bradford, also a former assistant U.S. attorney, add that the Federal Rules of Criminal Procedure also forbid disclosure of grand jury documents, and that DOJ policy forbids revealing the identities of cooperators, the means law enforcement uses to investigate, and anything related to national security. Saltzburg adds that the prohibition against speaking ill of someone who won’t be indicted “is not chiseled in granite.” For example, he says, U.S. attorney’s offices occasionally will say that someone is not being indicted if it’s well known that the person was being investigated. Nonetheless, the policy could provide a reason not to disclose information about President Donald Trump, whose campaign Mueller is investigating. “In this case, the Justice Department’s position that a sitting president cannot be indicted means that any information in the special counsel’s report about President Trump would lead to withholding from public release information about his conduct,” says Timothy Belevetz of Holland & Knight in Washington, D.C., who’s also an ABA member and a former assistant U.S. attorney. It’s unclear what could form the basis of a lawsuit. The special counsel regulations expressly say they do not create any rights enforceable by law. André and Bradford suggest that the Freedom of Information Act could be a cause of action, but that’s more likely to be used by major newspapers seeking the information. FOIA includes exemptions for personal privacy and law enforcement investigations, which could prevent all or part of the report from being disclosed. It’s more likely that members of Congress could end up in court by exercising a power specific to their branch: holding people who refuse to testify or refuse to turn over documents in contempt of Congress. According to William Pittard, a partner at KaiserDillon in Washington, D.C., and former House of Representatives acting general counsel, there are three ways to proceed with contempt of Congress. In all three, the House committee issuing the subpoena typically asks the full House for a resolution holding the attorney general or other DOJ official in contempt of Congress. • The first, inherent contempt, turns the House into a kind of court. The House sergeant-at-arms would arrest the person and bring them to the chamber for a trial run by Speaker of the House Nancy Pelosi. The House would have the power to jail or fine the person. Pittard says this has not happened in about 80 years. • The second method of holding someone in contempt of Congress is criminal; the House votes on contempt and then refers it to the District of Columbia U.S. attorney’s office for prosecution. The relevant statute says the prosecutors shall refer this matter to a grand jury. But in practice, the DOJ has interpreted this as optional. That’s partly because these referrals have, in recent decades, stemmed from conflicts between Congress and the executive branch. This happened in 2012, as the Washington Post notes, when former Attorney General Eric Holder refused to turn over certain documents related to the Fast and Furious firearms operation by the Bureau of Alcohol, Tobacco and Firearms; and in 1982, when Anne Gorsuch, former administrator of the Environmental Protection Agency and mother of Supreme Court Justice Neil M. Gorsuch, refused to turn over documents related to a Superfund site and her conversations with the industry. • In Holder’s case, Congress then moved to its third way to enforce a contempt vote: a lawsuit by the House committee that issued the subpoena. Pittard says the House may not legally have to hold someone in contempt to go this route, and that sometimes, members of Congress have voted to authorize a suit while simultaneously notifying the U.S. attorney’s office. He should know. When Pittard was with the House general counsel’s office, he helped win a civil ruling that said the DOJ had to turn over much of what was requested. Because of an appeal and changes in the political orientations of the House and presidency, the case is still pending. In Gorsuch’s case, contemporary and recent reports say the DOJ sued pre-emptively, arguing executive privilege. But the court “threw the case out” and suggested negotiations. The Reagan administration eventually gave up its executive privilege argument, and the elder Gorsuch resigned, citing the media attention and the lack of support from Reagan. The Reagan administration might have given up because there was Supreme Court precedent—quite recent, at the time—limiting executive privilege claims in United States v. Nixon. That case, about whether Nixon could refuse to release his tapes of Oval Office conversations, held that separation of powers doesn’t preclude a claim of executive privilege, and that the privilege is not absolute but must be weighed against the other interests in play. That case likely would be precedent in any new battle over executive privilege. Anne Gorsuch’s case never made it to the Supreme Court. But it may present an argument for the younger Gorsuch—who was about 15 years old when his mother resigned—to recuse himself if the question comes before him. 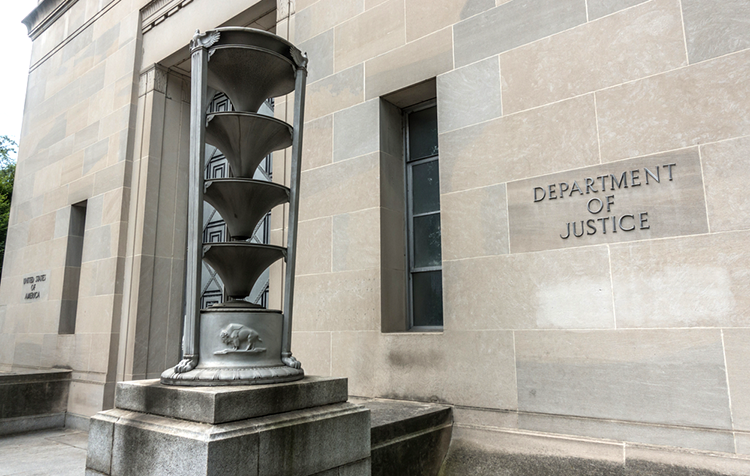 The U.S. Department of Justice building in Washington, D.C. Image from Shutterstock. 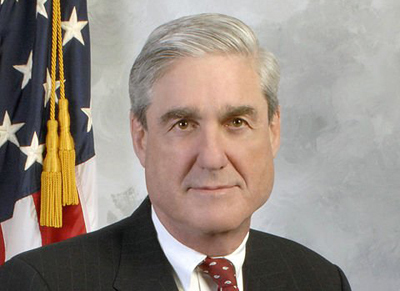 Mueller’s original instruction, from Deputy Attorney General Rod Rosenstein, was to investigate “any links and/or coordination between the Russian government and individuals associated with the campaign of President Donald Trump.” Rosenstein also authorized Mueller to investigate any matters that arose or may arise directly from the investigation and any other matters within the scope of the special counsel regulation on jurisdiction. That regulation says the special counsel also may handle appeals arising from the investigation and any crimes committed to interfere with the investigation, such as perjury or obstruction of justice. Indeed, the Washington Post and Vox report that a grand jury working with Mueller’s team already has handed down indictments for several Americans, many of whom have pleaded guilty or been found guilty at trial. The latest, Roger Stone, was indicted Jan. 25 and is currently subject to a gag order after making a social media post that appeared to threaten the judge. They also have indicted more than 20 Russian nationals and three Russian companies, although those parties are unlikely to be extradited and face American justice. Those cases, and two more prosecutions originated by U.S. Attorneys’ offices, provide some of the few glimpses the public has gotten into the special counsel’s work.